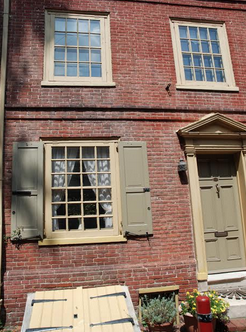 To say that Old City, Philadelphia, is rich with history would be a drastic understatement. This 22-block area is in all likelihood the most historic neighborhood in the entire country, rife with ancient buildings and artifacts predating the birth of our nation. In 2015, Old City has become a unique combination of the traditional and the modern, as trendy restaurants, clothing boutiques, nightclubs, and loft apartment buildings overlook the cobblestone streets. For rental property owners and property managers in Old City, it’s important to stay versatile in appealing to both the hip crowd of young urban professionals as well as the old guard of longtime natives and transplanted retirees. Diverse Marketing Techniques – If you’re looking to fill a vacancy, it’s important to cast a wide net. Appealing to a wide range of demographics will help you find reliable tenants much more quickly. Generally, various forms of online marketing will be more effective for attracting younger tenants, while more traditional forms such as newspaper ads may get more attention from older ones. Match Features to Demographics – It’s important to stay aware of how different home features appeal to different age groups. Generally, large homes with 3 or more bedrooms are more sought after by young families and students in search of communal housing, while 1- or 2-bedroom units will appeal to older retired couples. Similarly, swanky loft spaces and high-rise apartments generally attract a younger crowd, while empty nesters may prefer the simple elegance of an old rowhome.